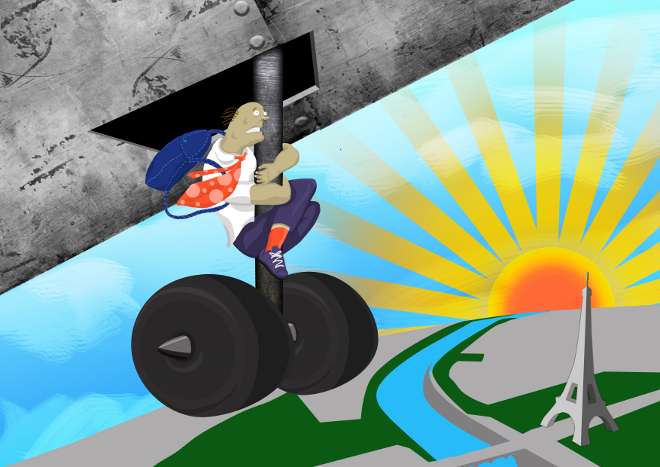 How far would you go for a Cheap Flight? In out experience people are willing to almost crawl over broken glass to book cheap flights. So, we decided to carry out a thorough analysis to check exactly how far South Africans would go to get a cheap flight. 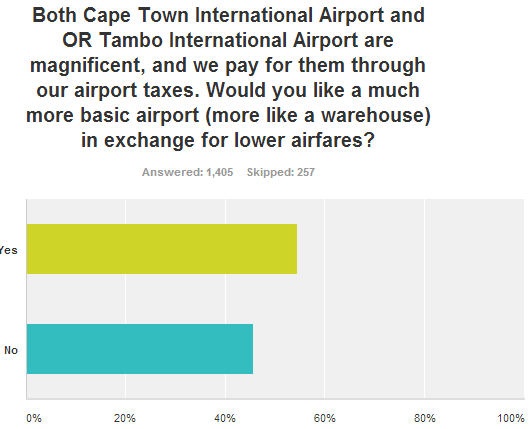 A majority of South Africans would prefer to have a more basic airport and lower airfares. 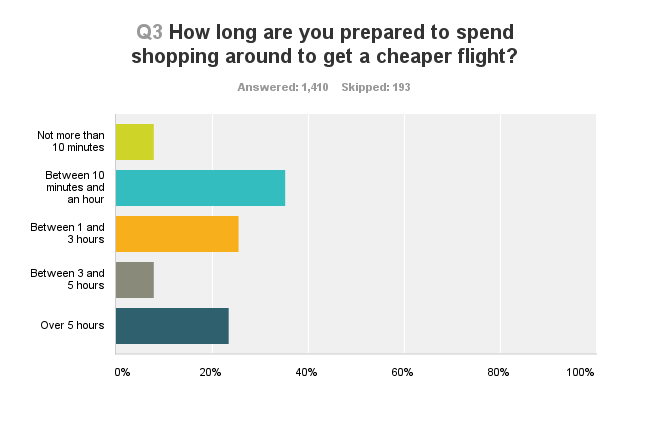 43% of people aren't willing to spend more than an hour of their time on finding a cheap flight, but 24% of people were willing to shop around for over 5 hours in finding a cheap flight. "I would skydive out of the plane to save fuel costs and landing fees"
"I haven't yet been overseas. I've been to Vic Falls and a bit of Botswana on honeymoon last December thanks to my hubby :-) I would be willing to have multiple stopovers if it allows me to leave the airport so I can sightsee. I know the Dubai airport is very nice so I wouldn't mind exploring it enroute to India on Emirates. I don't mind not having in-flight entertainment because I love to read and would be too busy looking out the window to see the sights from above.